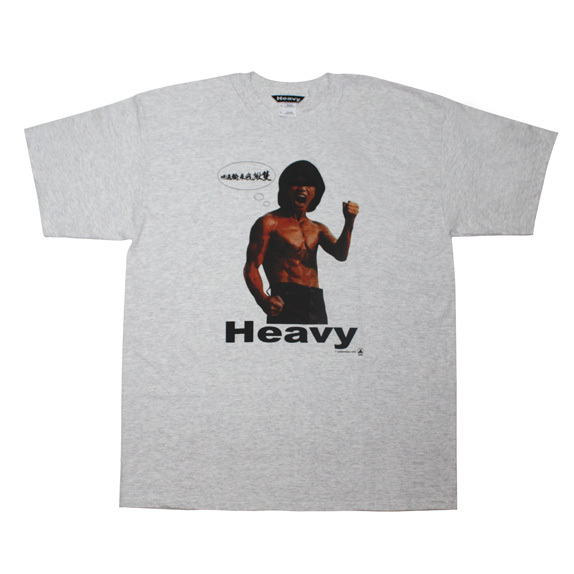 Cosmos Design Solution has teamed up with “HEAVY HONG KONG” to launch their first collaborative Tee Shirt line. 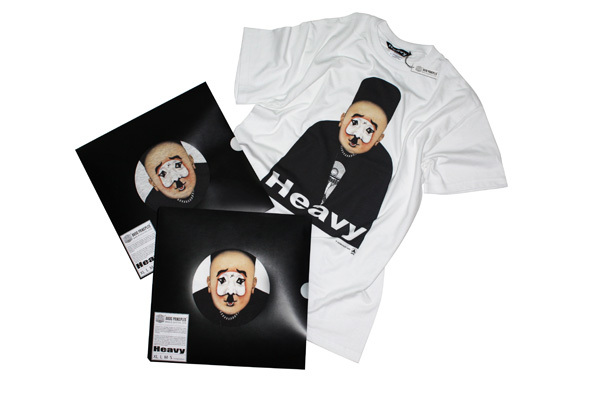 HEAVY represents a passion for Drum & Bass and Dubstep along with a long standing commitment to artistry. 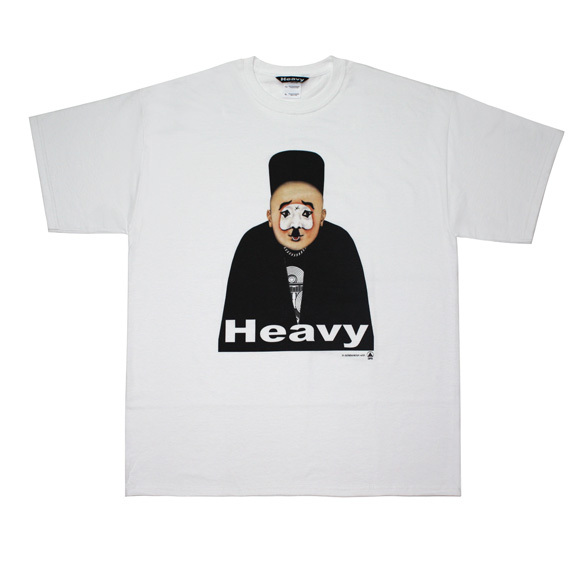 HEAVY’s artwork is inspired locally and takes influences from all aspects of chinese culture. Which is reflected on many of its posters and now seen on a limited run of Tees. It will be available in white and grey with 4 different sizes. The Chou (丑) is a male clown role in Peking opera. Chou usually plays secondary roles in a troupe which is similiar to HEAVY’s choice of not performing mainstream music. 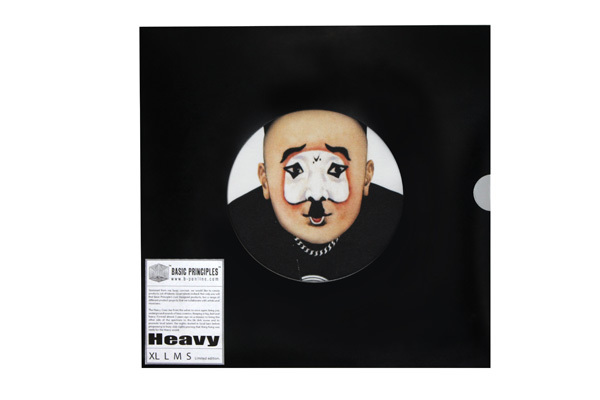 The Heavy Crew has had an astounding variety of underground artists, from Drum & Bass, Dubstep to Reggae, in the past few years who are forefront leaders of Hong Kong’s ’Bass Sound’ industry. Chou characters wear special face paint, defined by a small patch of white chalk around the nose, representing either a mean or secretive nature. The Chou character does not sing frequently. This is the character mostly connected to the guban, drums and clappers commonly used in performances for musical accompaniment, mirroring HEAVY presents – drums and bassline. Available at Basic Principles’ Online Store. 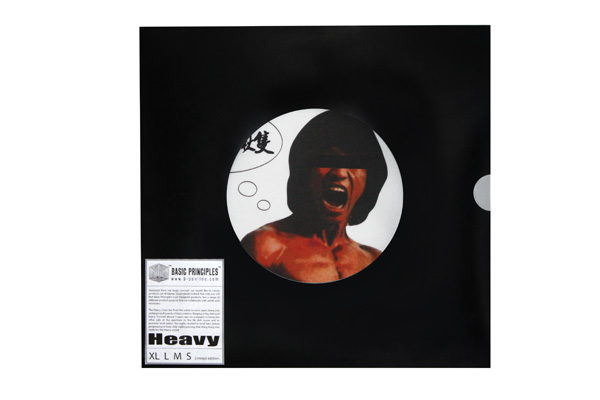 The return of DJ FU tee marks Fu’s second visit to smash the decks at Heavy. The half HK half UK DJ is the product of Chinese hard work, dedication and the British culture for bass driven music. Kung Fu man is a symbol of strength, skill and mastery of his art. He often turns his back on relationships in order to dedicate his life to the never ending pursuit of mastering his craft. This philosophy is found in musicians all over the world and also reflects HEAVY continual quest to bring the best of HK local bass heavy culture and renowned acts from around the world together. One thing is for sure HEAVY never loses a one on one battle. 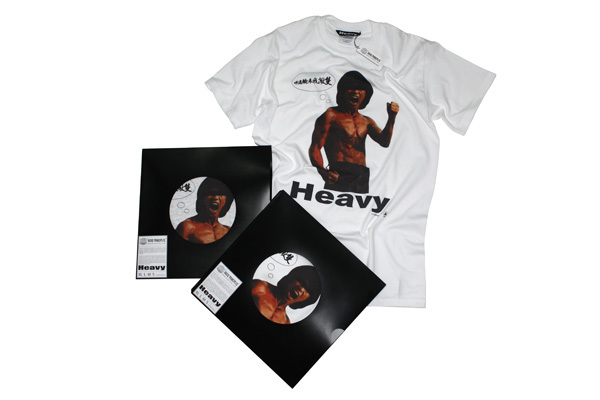 The return of DJ FU tee will be available in white and grey with 4 different sizes. Available on Basic Principles’ Online Store.